For a guy getting slammed all over the media for running the Dodgers into the ground Frank McCourt did not do too bad as owner. The Irish American has increased the value of the team three-fold according to experts, to close to a billion dollars. He doubled team revenue from $156 million to $286 million in 2009 --and he made them contenders for several years by hiring a top class manger in Joe Torre. The Dodgers reached the play offs four times in his six seasons of owning them and they went to back to back National League Championship Games for the first time in 31 years. Not a bad record when you consider so many other 'normal' owners who could never post such results. Sure McCourt got caught in a very nasty divorce battle and has ended up paying out $130 million in a settlement. Let's face it, it was the wife who allegedly had the affair with the driver setting up all the tabloid frenzy. But the Dodgers owner looks likely to recoup all his investment in the sale for the team which will go for close to a billion dollars . 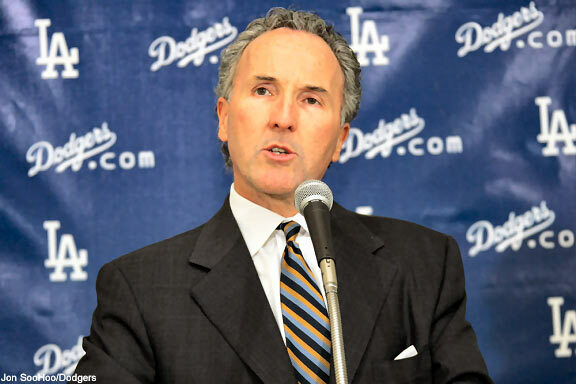 Despite all the negative press Frank McCourt has actually done the Dodgers a big favor by making them a very desirable team for prospective buyers again. He is being unfairly pilloried in the press.